To help: Check-in on Howard Street across from City Hall. They will direct you to where you will be the most help. 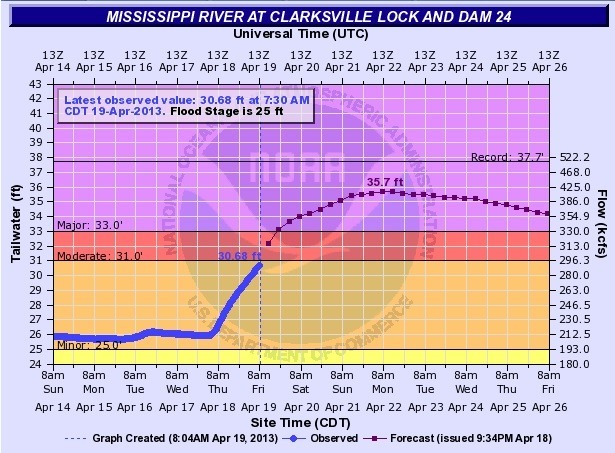 Clarksville has been preparing for another historic flood this week. Thank You to all the volunteers both local and non-local. With the help of over 100 people the downtown is preparing for 35+ foot water level, which would crest at the 4th highest level in the history of Clarksville flood recordings. AmeriCorps has sent nearly 30 members or more into Clarksville. The young adults involved in AmeriCorps have worked non-stop to shovel every pile of sand into 1000s of sandbags. When I left town at 10:00 PM, they were still working alongside many locals with vested and sentimental interest in Clarksville, its history, businesses, and people.